“Intervals (also known as repeats) are short bursts of speed repeated over a measured distance with recovery periods between each interval. As I discussed in the previous chapter, intervals are a key component of training for swimming and running. 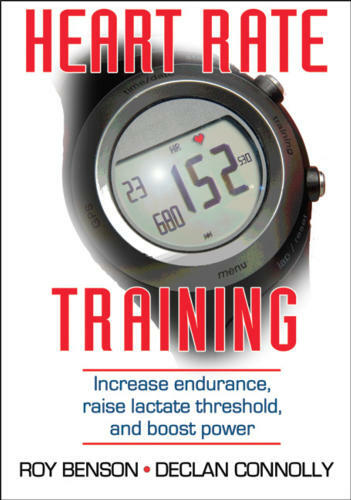 In this chapter, we’ll further explore 80/20 running workouts and also learn how to apply interval training to cycling. Elite runner and author Jeff Galloway once wrote, “Intervals are based on a simple principle: The only way to run faster is to run faster” (Galloway 1984). Although that premise is true, there are some specific guidelines to interval training that can help you prevent injury and get the most out of your hard work. * Base training first. Never begin any kind of speed work without a year’s solid base of consistent distance running. Intervals are demanding and can be very rough on your body, so it’s important that you’ve developed the muscle strength and joint integrity to support the effort. * Set a baseline with a time trial. It’s a good idea to start off your interval training with a performance benchmark that tells you where you are now so that you can measure your speed improvements down the road. To set a baseline with a time trial, warm up at a slow pace for 2 miles (3.2 kilometers) on a running track that’s at least a quarter-mile (0.4 kilometer) long so that you don’t have the constant turning. Perform a 1-mile (1.6-kilometer) time trial at a hard pace you can sustain throughout the entire distance. Time yourself with a stopwatch (or have somebody time you). Cool down for another 2 miles (3.2 kilometers) of easy jogging. Make sure you record your trial time (not including warm-up or recovery distance) in your training log. Once every other month, repeat your 1-mile time trials, and you should see some steady, measurable improvements. * Train for your distance. The interval workout for an Ironman-distance triathlon is much different than that for a sprint distance. For example, if you’re training for an Ironman-distance triathlon, you should be running half-mile (0.8-kilometer) intervals, 1-mile (1.6-kilometer) intervals, or a combination of both. This regimen builds your stamina and improves form for longer distances. For Olympic- or sprint-distance races, your workout should consist of a combination of half-mile (0.8-kilometer) and quarter-mile (0.4-kilometer) repeats. * Sandwich intervals with easy workouts. Speed work is very demanding, so you need to be relatively fresh going into one and give yourself a day or two of easy work afterward. * Base your speed on your best running race times. Most intervals come in three distances: quarter-, half-, or 1-mile (0.4-, 0.8-, or 1.6-kilometer) intervals. How fast should you run them? You should feel as though you’re running close to your redline of effort, but err on the side of caution. If you feel as if you’re blowing a gasket, ease off. For a quarter-mile interval, run 5 to 7 seconds faster than your 5K to 10K race pace. For a half-mile interval, you should run at 5K pace to 5 seconds faster. For a mile interval, you should run at 5K to 10K pace. * Increase gradually. The first time on a track (once you’ve done a proper warm-up and a performance benchmark time trial as previously described) you’ll want to start with only one or two repeats. It may even seem like an easy or short workout at first, but err on the side of caution. Gradually increase the number of intervals according to your race distance and goal. * Watch your form. The tendency for some triathletes is to lose proper running form after a long and arduous bike leg. Track workouts are an ideal time to focus on your form and make an effort to keep your body under control during sustained, high-intensity efforts. Similar to proper technique in the pool, good running form helps you become more efficient and avoid injury with good biomechanics. If you feel yourself running awkwardly or find your feet striking the track improperly during the latter half of an interval workout, consciously bring your body back to running smoothly and effortlessly. * Aim for consistent interval times. Done properly, interval workouts help your body to adapt to the prolonged hard effort of the running leg of a triathlon. By “properly” I mean a consistent pace on all the intervals. If there is more than a 5-second difference between interval times, you’re probably going out too fast for the first few. You need to hone your internal pace clock, which is in itself a valuable skill to have during any running event.